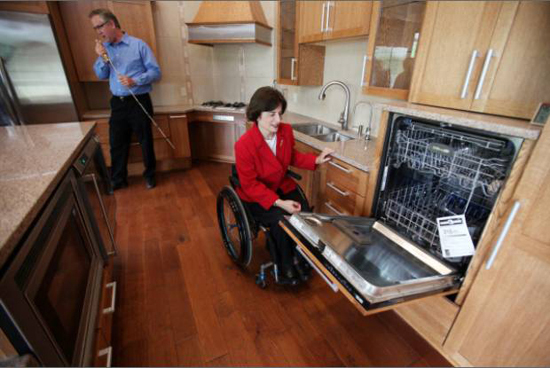 The demand for accessible housing will continue to increase for many in the next several years as the number of handicapped individuals and senior citizen are becoming a larger share of our communities and population. 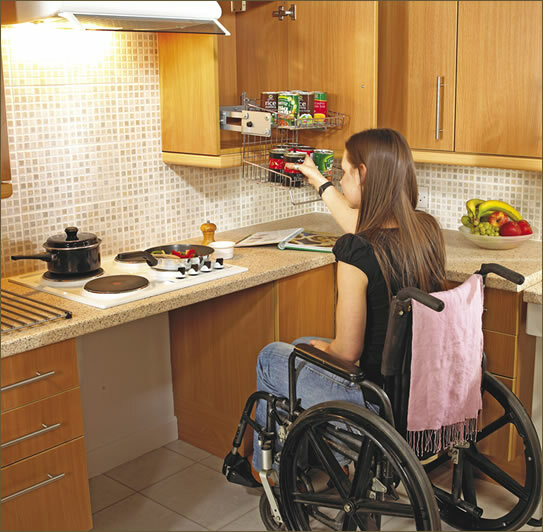 Independent living and the ability to take care of ourselves allows us to remain active and depend less on assistance from others. 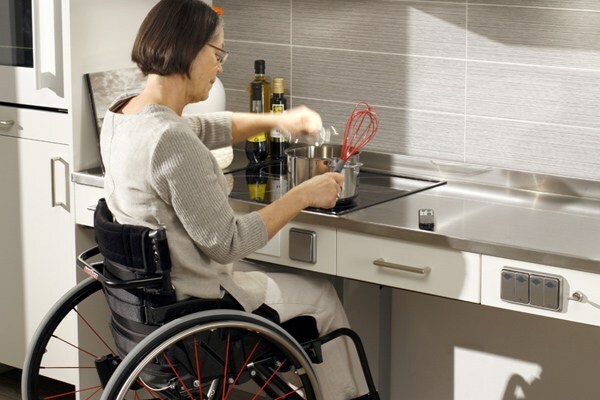 Barrier Free modifications can help make your kitchen accessible with simple modifications, or a complete kitchen remodel or construction project, that will improve your lifestyle and your ability to live at home without relying on daily assistance. 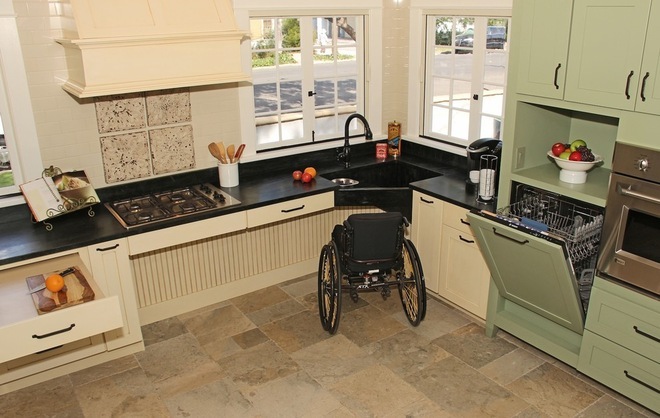 Traditional home builders do not keep in mind how difficult it is to move around for those that deal with a daily handicap or the elderly, and that can make life extremely difficult, especially when doing something as simple as preparing your daily meals. 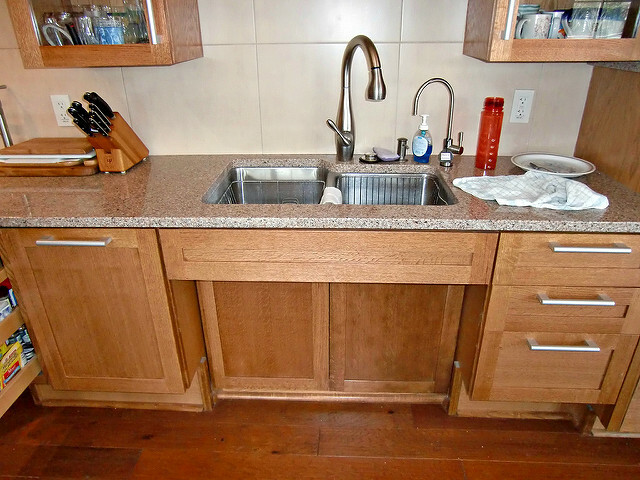 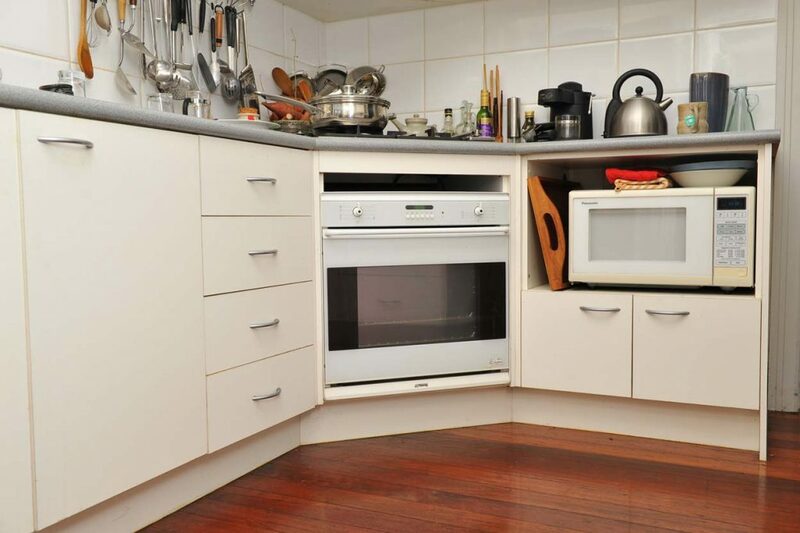 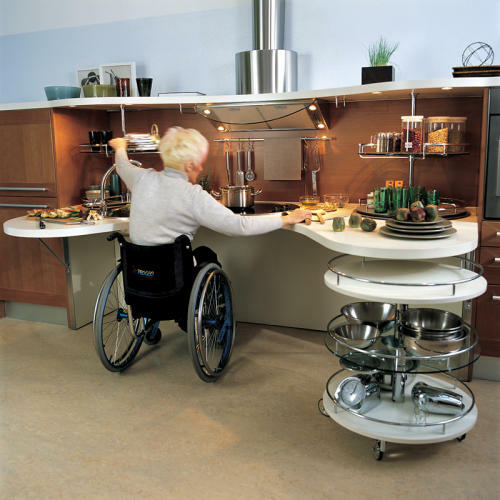 Barrier Free Modifications has many solutions for your kitchen accessibility needs. 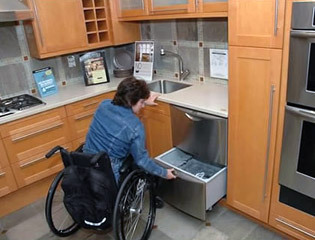 Often times people believe that disability or aging in place modifications or renovations will look cold and institutional, at Barrier Free Modifications, we take great pride to ensure not just the functionality of the project, but also that the decor and style of your home is maintained. 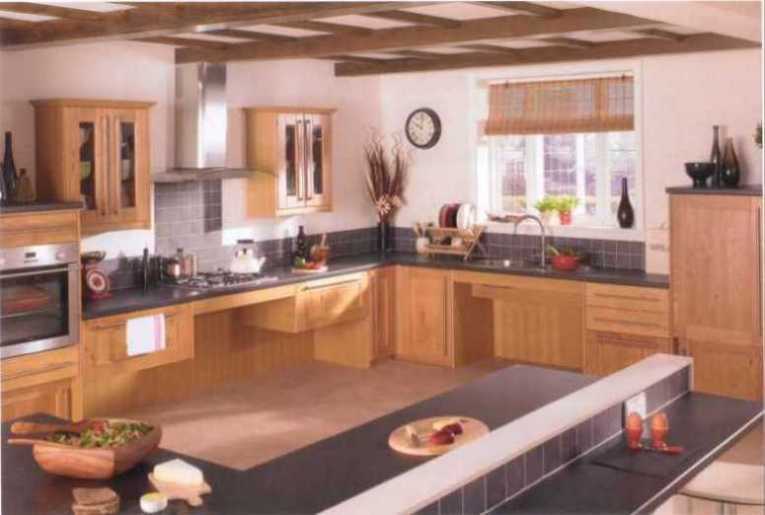 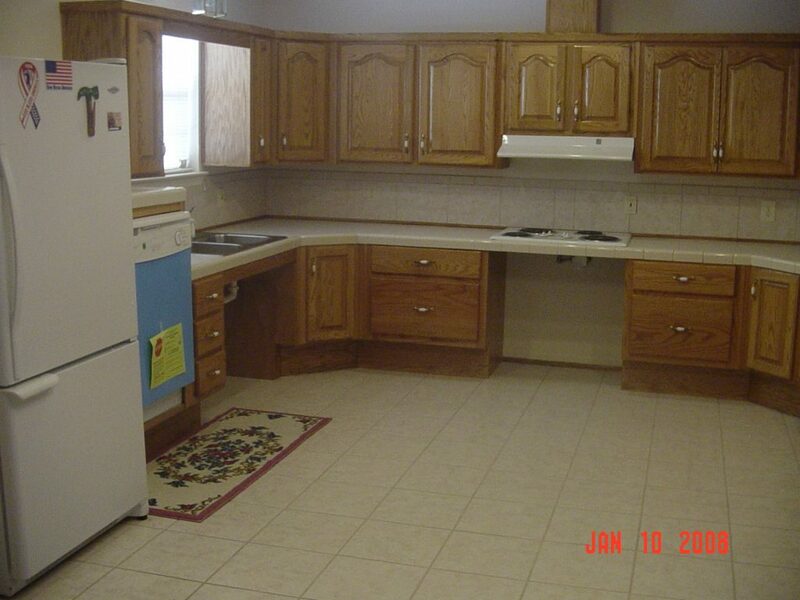 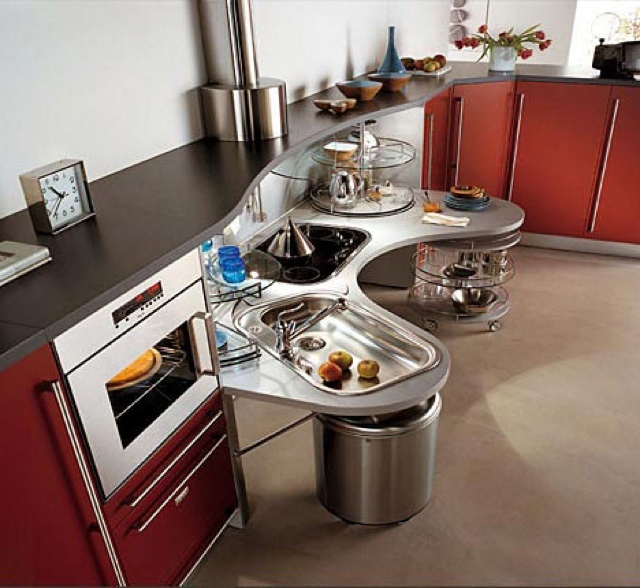 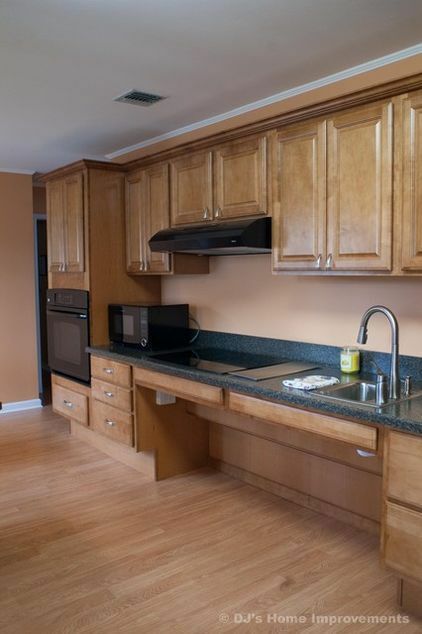 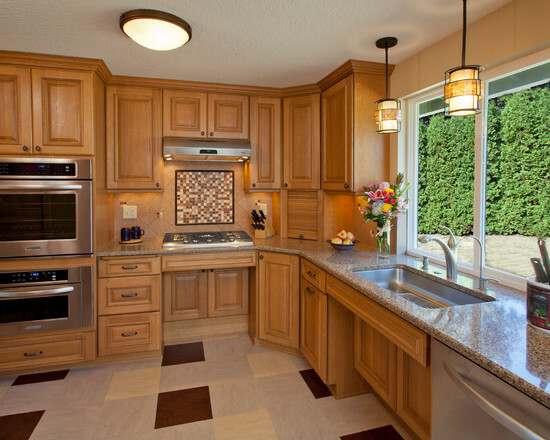 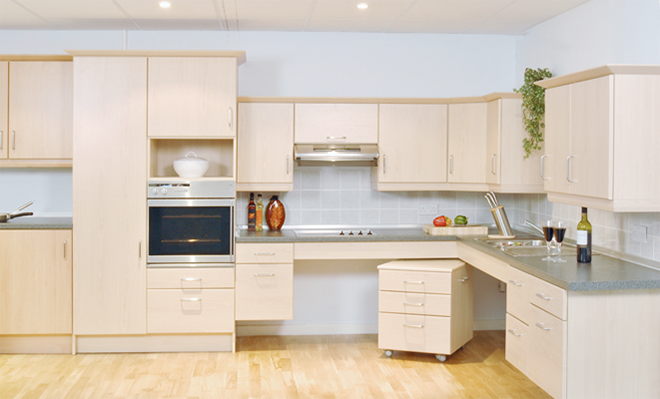 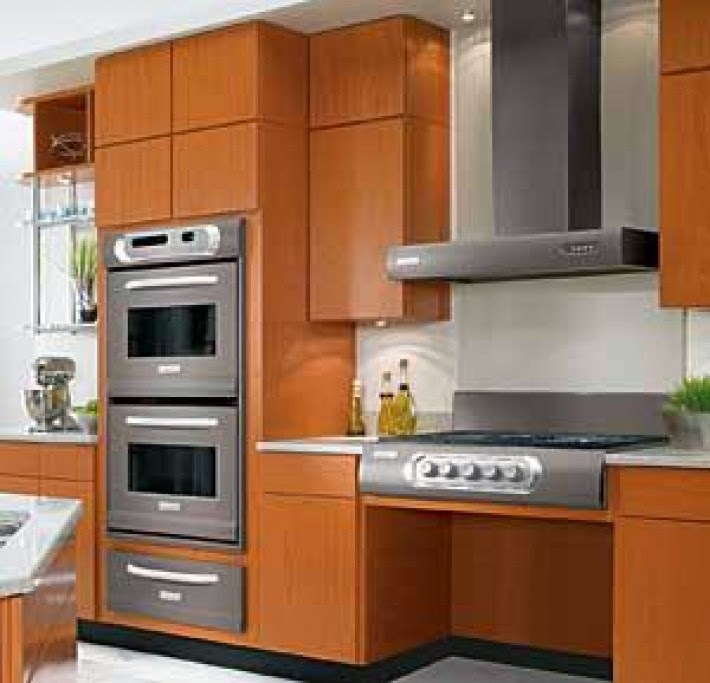 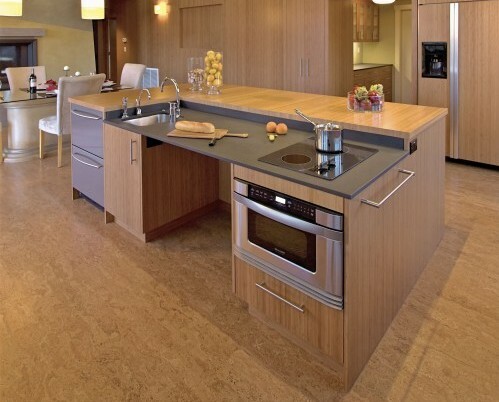 Our Kitchen Remodeling and Construction teams specialize in Universal Design, for kitchens. 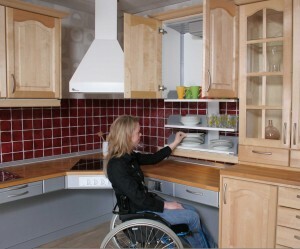 Did you know adjustable cabinets, adjustable shelving, and adjustable counter tops are available for you to choose from? 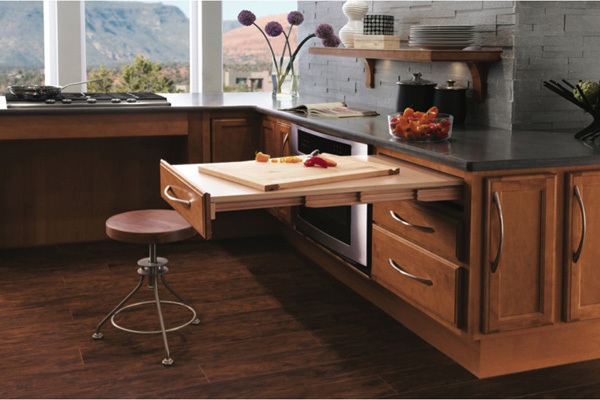 With multiple styles, colors, and finishes that create a customizable barrier free kitchen that is perfect for everyone in the home. 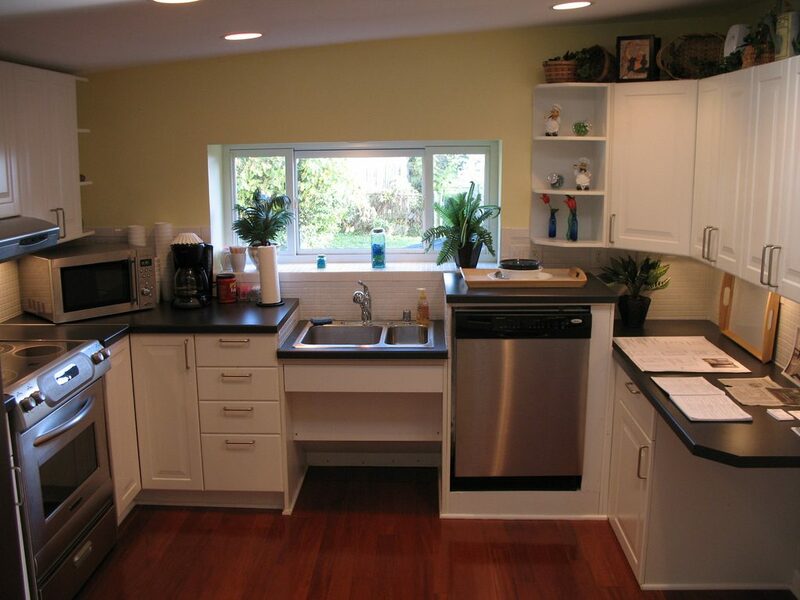 Most importantly, our trained professionals will walk you through the entire process. 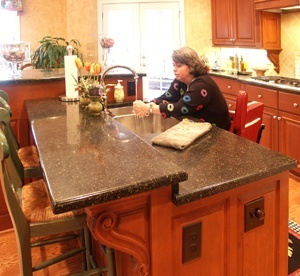 We will assess, design, supply, and install exactly the right products to make your home beautiful, safe and accessible. 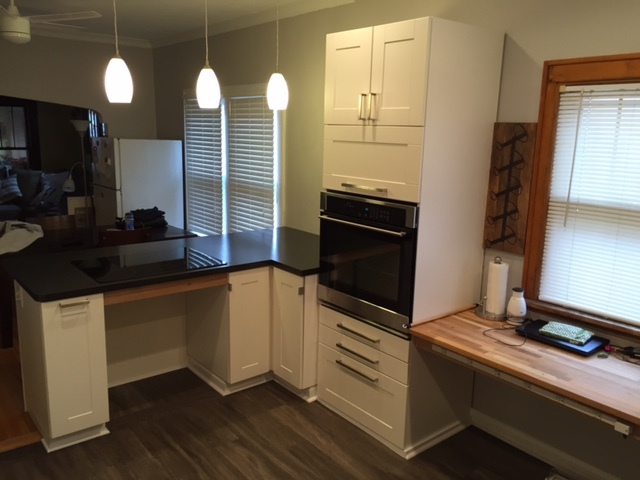 Barrier Free Modifications are experienced & dedicated team of professionals have completed hundreds of construction, and remodeling projects serving our friends in Southeastern Michigan for over 15 years. 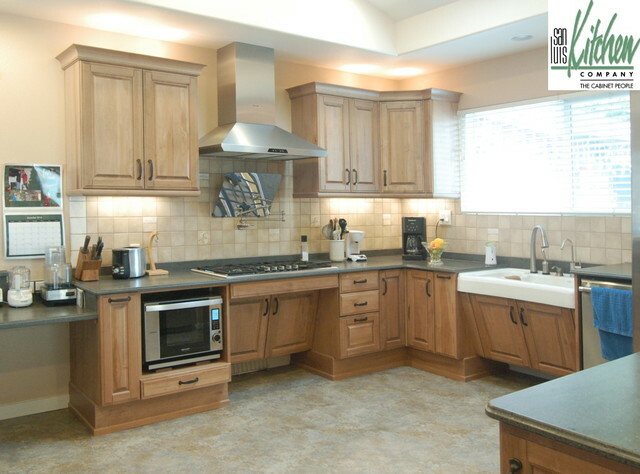 We will assess, design, supply, and install the best products to make your home beautiful, safe and accessible for all of your families needs. 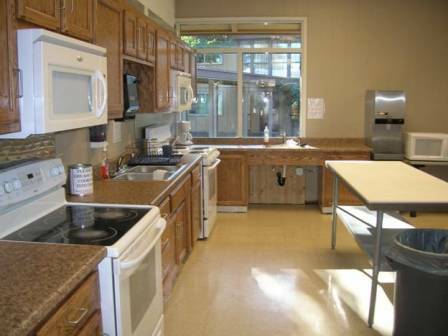 You will have the ability to move freely around the kitchen safely and with minimal setbacks in your own space when you call us. 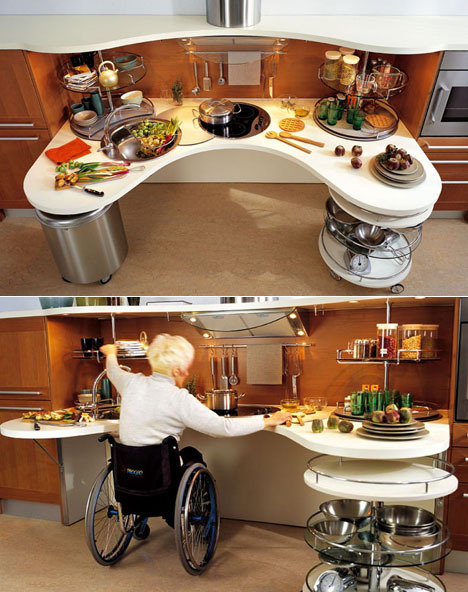 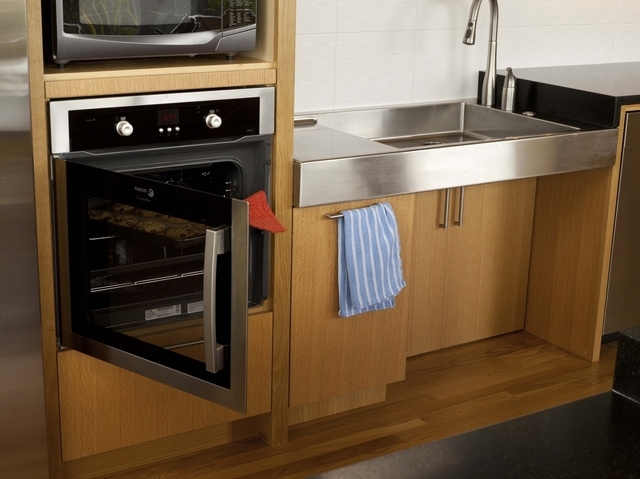 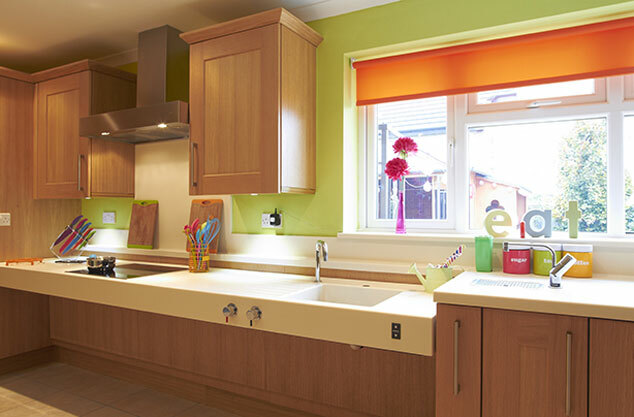 We want you to have the ability to move freely around the kitchen safely and with minimal setbacks.